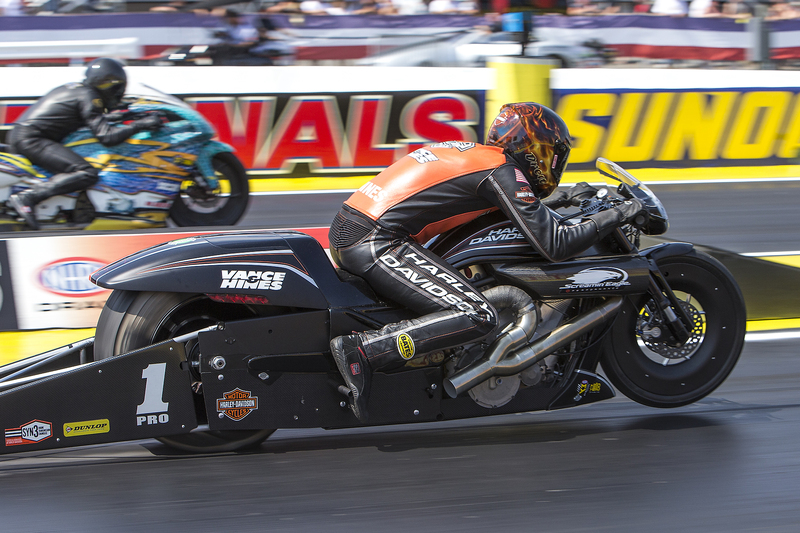 Defending event winner Andrew Hines is at the top of the Pro Stock Motorcycle order with a 6.825 pass a 194.74 on his Screamin’ Eagle Vance & Hines Harley-Davidson on Friday of the Chevrolet Performance U.S. Nationals, the world’s biggest drag race, at Lucas Oil Raceway at Indianapolis. 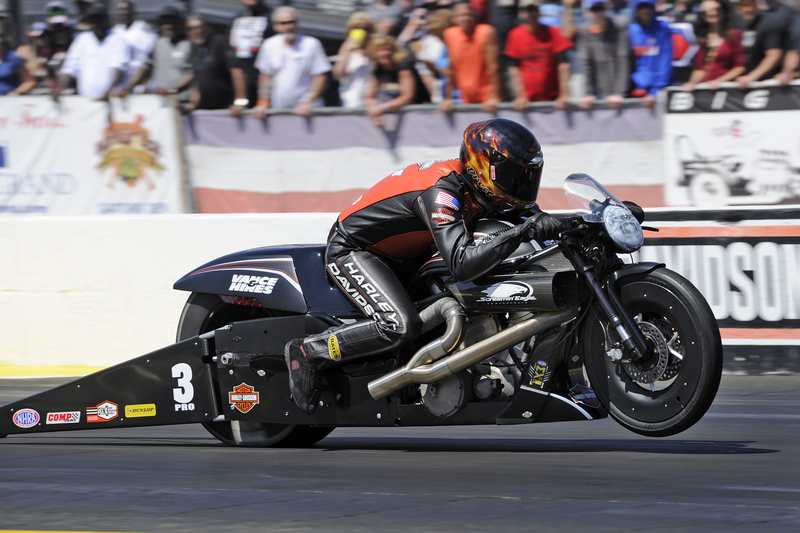 Hines’ teammate Eddie Krawiec matched Hines with a 6.825 at a slower speed of 193.57 for the second spot and reigning world champion Jerry Savoie is in third. Qualifying at the Chevrolet U.S. Nationals continues at Saturday with two sessions beginning at 1:45 p.m.